Everybody knows Donkis is a tourist rip off spot by now. No. It is HK$35,000. I didn't include the last "0" since i wanted full detail of the bottle. sorry about that. 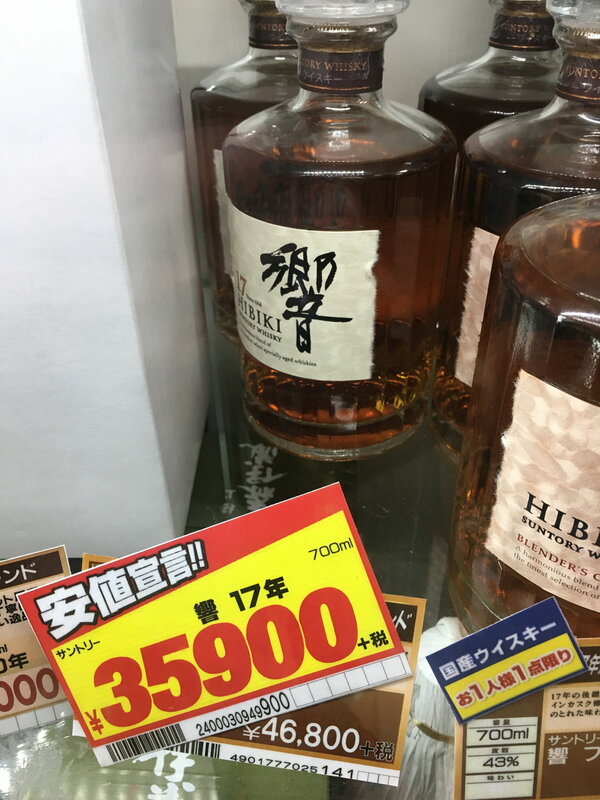 Cheapest Hikiki in world? Below retail! 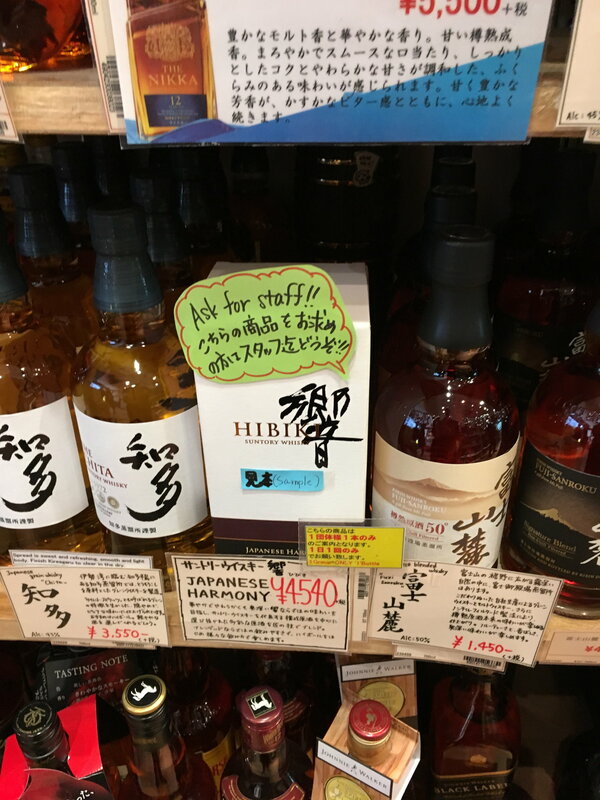 I think that "ask for staff" sign = guaranteed out of stock, daizawaguy. 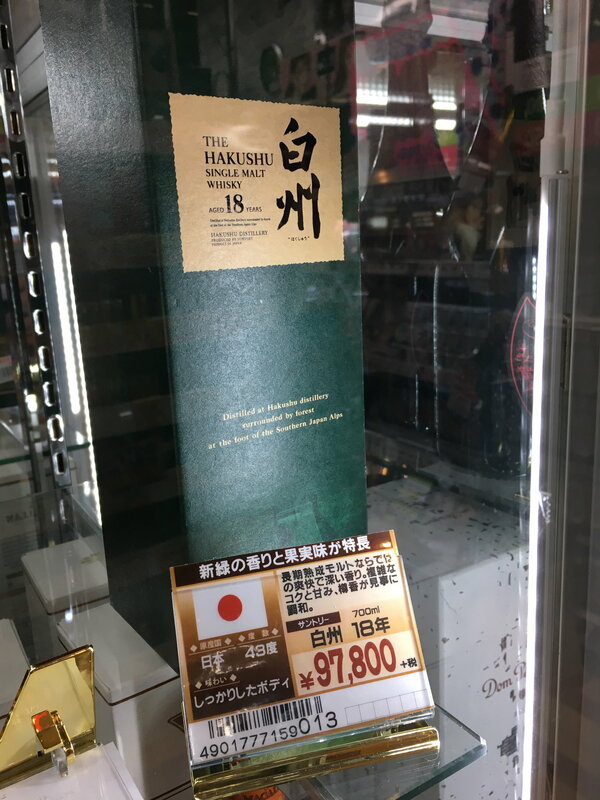 I found a shop in Kobe with Yamazaki and Hakushu 12 for 11,000 yen, and the store guy said, no stock, that was just a box. 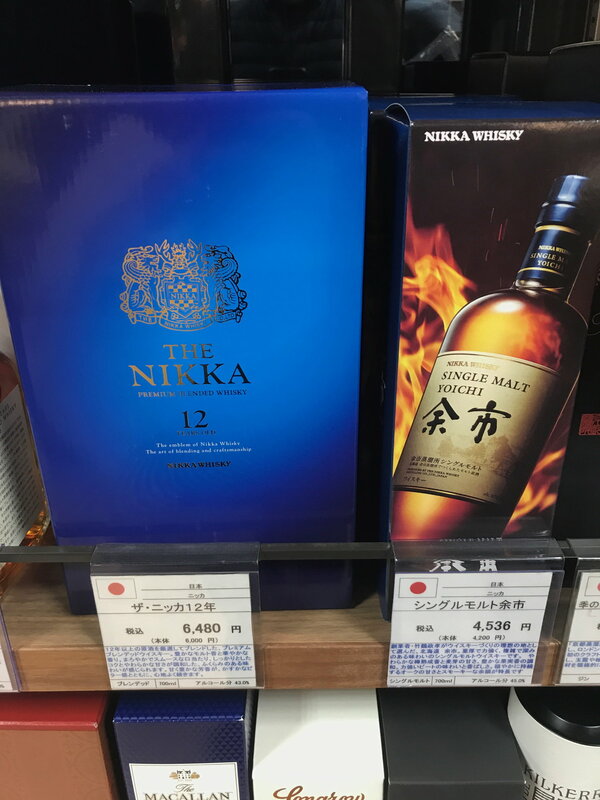 Anyway, Nikka 12 appears to be plenty at Takashimaya in Kyoto. 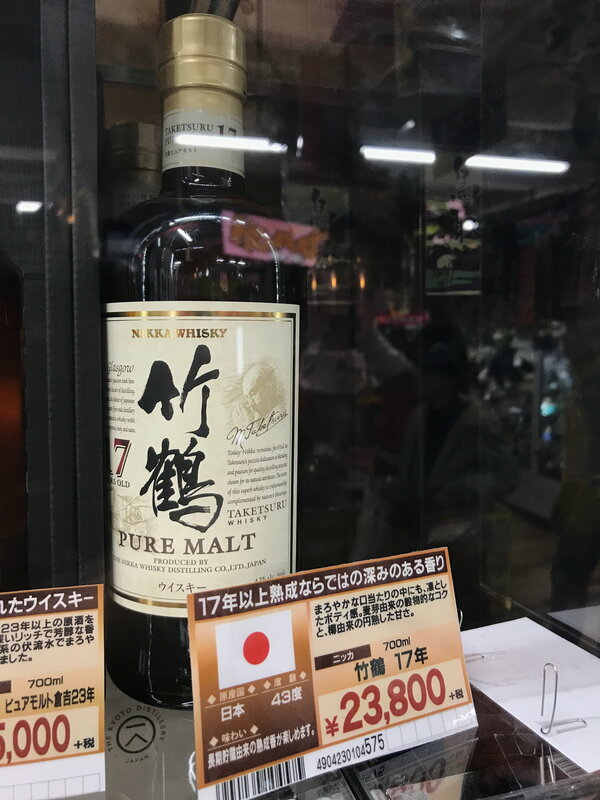 Thats BIG in Ginza - they only release a few a day though...best to get there at 12 noon. By six, the allocation is all gone. 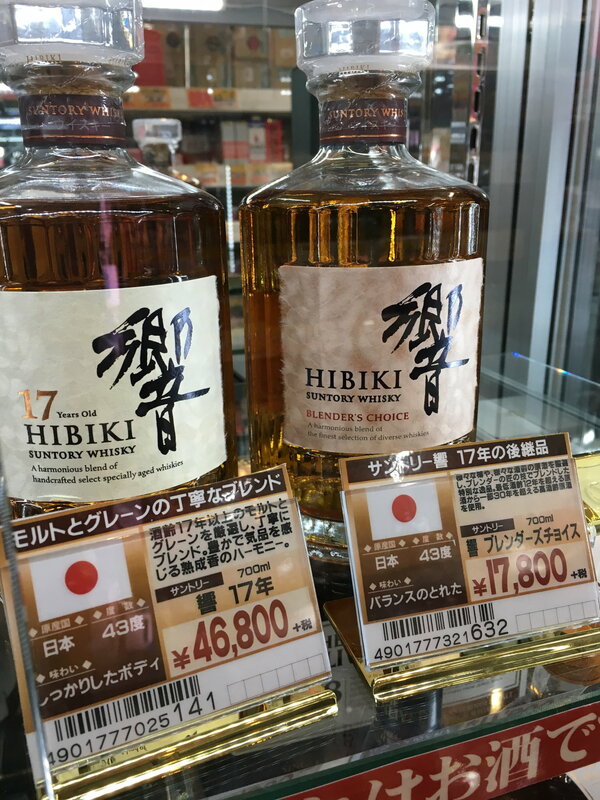 Enquire with a firm tone - I mean "One bottle of Hikiki please", versus "Do you have any Hibiki today? "...The box is behind the counter - makes sense though that under list price they can control the allocation. BiG owner is one of the friendliest people I've met. Don't really think it's necessary to be rude or firm. If he has it, he will sell it to you. There are many places to get Harmony at similar 4k prices anyway. I've seen it for 3,900 in Ikebukuro. In either event, it's a waste of a luggage space for anyone traveling back to US. 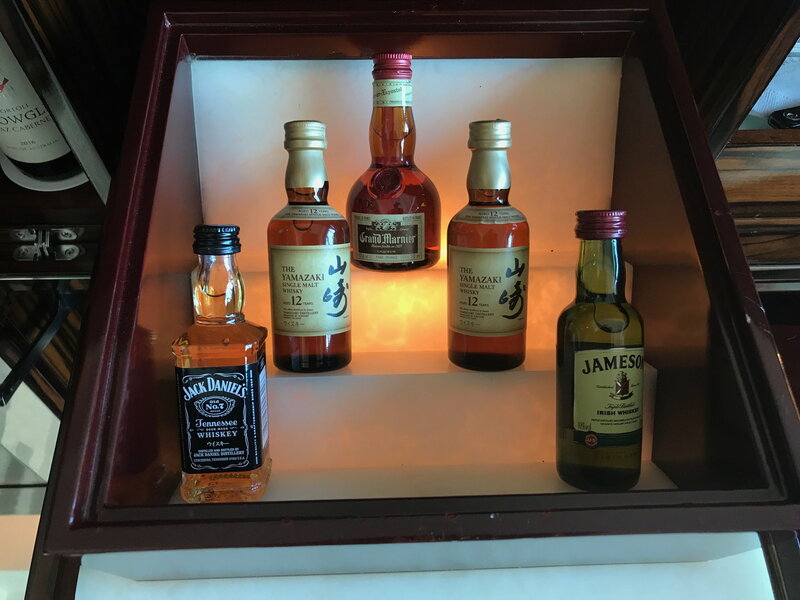 Another hotel you can raid minibar, Conrad in Shiodome. 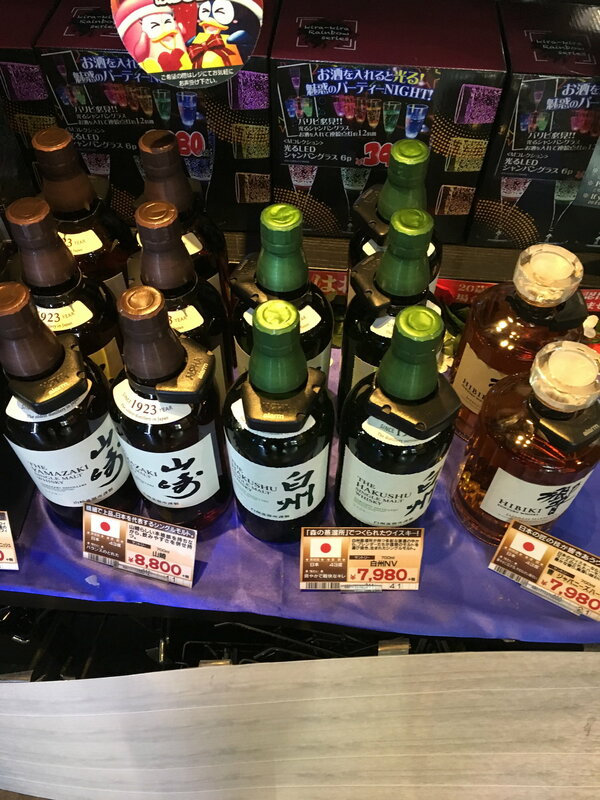 Two Yamazaki 12 minis for 1,800 yen each.